Based on the movie classic that runs round-the-clock on television every holiday season, A Christmas Story, the Musical follows 9-year-old Ralphie Parker and his quest for the Holy Grail of Christmas gifts-an Official Red Ryder carbine-action 200-shot Range Model air rifle. You’ll enjoy all the iconic scenes from the movie: Ralphie’s friend, Flick, getting his tongue stuck to the flagpole; his brother, Randy, getting dressed in his snowsuit; the bullies, Farkus and Dill; the notorious leg lamp award; the bunny suit; and much more. 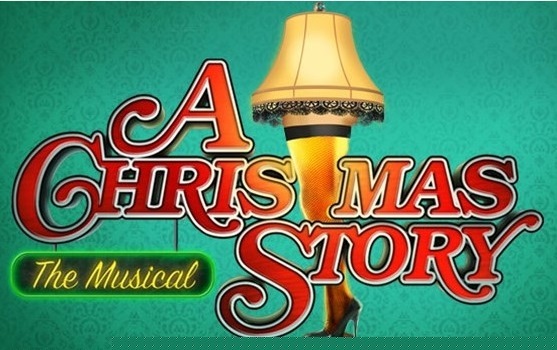 Whether you have enjoyed the timeless movie or are experiencing the story anew, A Christmas Story, The Musical is a great way to brighten your family’s holiday season! $25 Adults $22 Students/Seniors 60 & Above $18 Children 12 & Under! All sales are final, and there are no refunds available unless the show is canceled. There are no online “convenience fees”. Pricing is the same whether purchased online, by phone (805-583-7900) or at the box office. For special seating needs, please contact the box office at (805) 583-7900. Main lobby will open 45 minutes before show; House doors open approx. 20 minutes prior to curtain. A limited number of booster seats are available; ask an usher for assistance. The use of cellular phones, cameras, recording devices, radios, and pagers during any performance is strictly forbidden.